At Ashbrook Roofing, we understand the pressure a roofing or building project can bring. That’s why we’ve brought everything you’ll need in the way of roofing materials together in the one place. That includes our selection of cement and mortar additives. 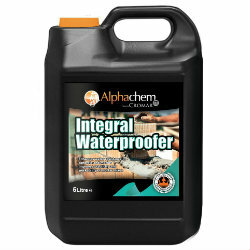 Whether you need chemicals to increase the hydration of concrete or to speed up the time it takes to set, or additives to dye mortar to match brickwork, you’re sure to find something from our selection to meet your needs. We offer next day delivery on orders placed before 2pm, and we’re happy to provide additional advice and support should you need to know more about the products we have on offer. Place your order for cement and mortar additives online today with Ashbrook Roofing.